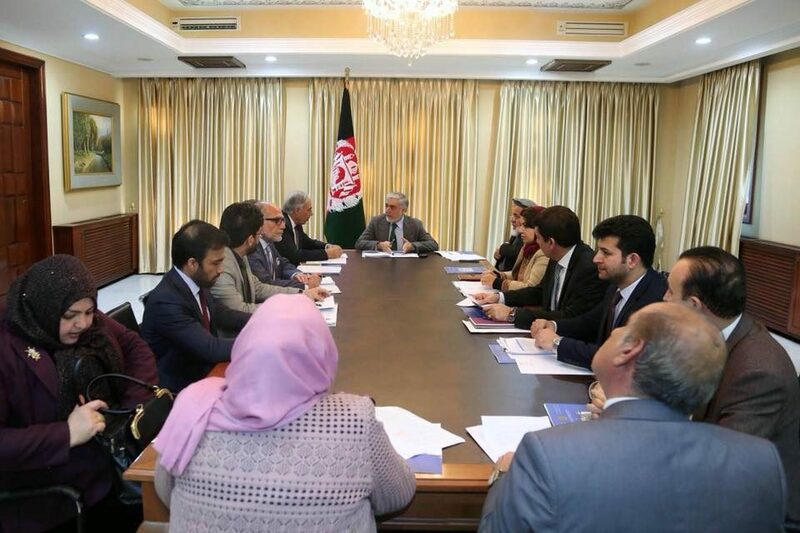 KABUL: Chief Executive Dr. Abdullah Abdullah chaired an extraordinary meeting to assess the main challenges ahead of the implementation of Afghanistan commitments to the World Trade Organization (WTO), a statement from his office said Friday. Held at the Spidar Palace, the meeting was attended by the country’s finance minister, minister of justice, acting minister of commerce and industries, head of administrative reforms and civil services commission, deputy ministers of information and culture and economy, according to the statement. Addressing the participants, Dr. Abdullah pointed to the country’s economy and said Afghanistan’s commitment to the World Trade Organization (WTO) would have direct impact on the country’s agriculture, trade and economy, the statement added. “Some ministries have not still fulfilled their own responsibilities in this respect, and the related institutions should do the commitments as soon as possible,” said the statement. He instructed that the ministries’ required posts should be prioritized in coordination with the Independent Administrative Reform and civil services commission in order to apply the country’s commitments to the World Trade Organization, the statement added. The CE also instructed the (IARCSE) to employ professional staffs needed by the ministries within the next two or three months. Dr. Abdullah also instructed the ministries of economy and trade to soon provide reports about the developments of work, programs and challenges ahead of the implementation of Afghanistan commitments to the World Trade Organization and share with the next meeting of the Council of Ministers (CMs) in order to seek solution and to approve the final draft by the cabinet.